Your car in good conditions. Make an appointment, bring your car and wait for 10 minutes. Process of the test takes 10 minutes. The price of this service is $350MXN+IVA (2018). If your car fails the test, then you have another chance to pass the test. More than 30 years of experience behind us. Call us or push the Whatsapp button! The general tuning service of the engine is one of the most important services that must be performed on your car. Life of your engine (Oil change), and the performance of the engine (Combustion Elements) depend on the correct execution in time and form. Oil change service must be done every 6 months or every 7,000km. This service is the most important to preserve the “life of the engine”. This service must be done once a year. In this service all consumable combustion elements (spark plugs, filters, etc.) are replaced. There is no general price for these services, each vehicle is different and requires its own spare parts, oil viscosities, etc. It is also important to consider the user’s management habits. Send a message (Whatsapp) and receive your quote in minutes. Visit our car repair shop. 30 years ago we started this project. We are a mechanical workshop and verificentro located in the city of Zapopan, Jalisco. Our specialty is the maintenance and repair services of private vehicles as well as service to business fleets. 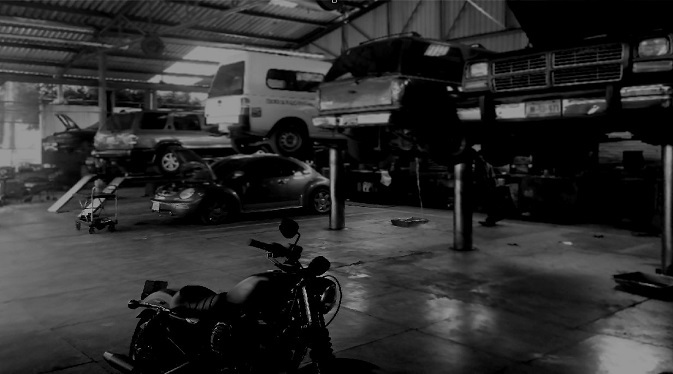 Currently we offer a wide variety of services, practically in all branches of the automotive maintenance and repair sector. If you require some service and you are not sure if we can help you, then we invite you to call us, the engineer in turn will attend you. We provide answers to all your questions in the automotive maintenance and repair sector. From the very important purchase reviews, to the set-up for sale. We accompany you throughout the process. The most important thing is to have the tunings up to date and go through your hologram to the verificenter. In the purchase advice, we are intensively reviewing the vehicle. Detecting any possible failure or problem with the car is our goal. For later, to determine whether the purchase is feasible or not. It is also important to establish the fair price to pay for the unit. To check the vehicle’s electrical and electronic system, a computer is used. This team will analyze all the modules of the car in search of problems. You should also check the status of the tunings and if necessary go to the verificenter. If errors are detected, they will be recorded in a final report. Visit our automotive workshop. In the trip review of the car, we focus all our attention on the components that are responsible for maintaining safety in the car. Such systems are: Engine, Brakes, Suspension, Chassis and Tires. This revision is essential before making a long trip with the vehicle. It can be very risky for the safety of the pilot and passengers to omit a revision of this type. It is not prudent. On the other hand, in the review of the sale of the car, we focus on detecting any possible observable anomaly to solve it and thus avoid that the final buyer does not agree with the quality of the product and consider offering a smaller amount of money for the car. This exam mainly focuses on detecting problems in engine, body, suspension and interiors. Aprende más: Servicios, Frenos, Flotillas, Inicio, Afinaciones, Verificación, Frecuencia Mantenimiento, Programa de mantenimiento para auto según Km, Tipos de humo en automóviles. Aprende que significa, Multa por no verificación en Jalisco, Proceso de Condonación, Catalizadores en Zapopan, ¿Qué es el Catalizador?, Consejos para el conductor, Catalizadores, Afinaciones en Zapopan, Reparación de Motores Automotrices en Zapopan, Código P0420, baja eficiencia del sistema catalítico.